At OEI, we believe that water is the world’s most important resource. Our team works to assess existing water supplies, research the cost of water and design treatment, storage, and distribution systems. 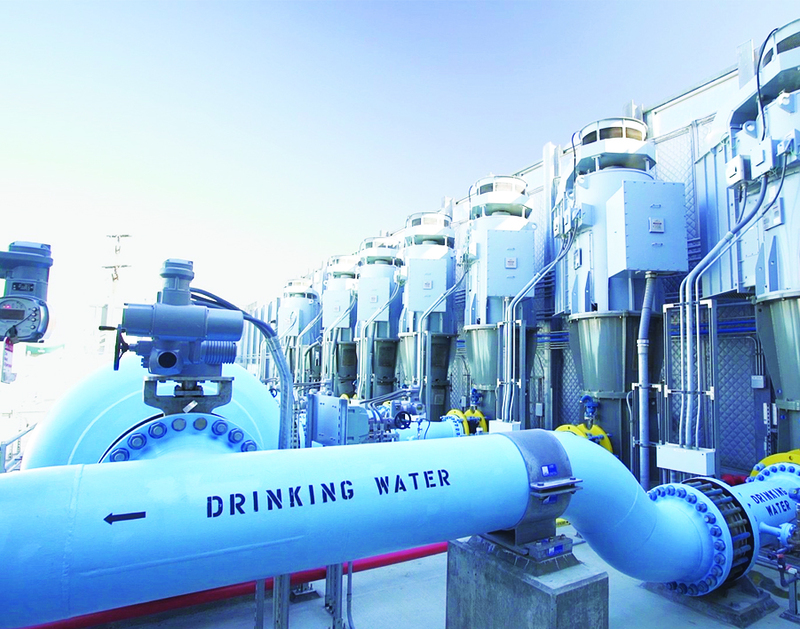 OEI also has the capability of designing innovative water and wastewater systems like reverse osmosis and membrane bioreactor systems (MBR). Apart from the services below, our engineers also design wastewater treatment facilities as well as sewer collection systems, offering various lift station design options. There are two types of water: groundwater and surface water. Groundwater comes from water wells that are developed and drilled into aquifers. The water is brought up to the surface and via a series of pumps, pipelines and booster stations, it arrives at storage facilities. Groundwater that does not meet primary and secondary water quality requirements must be treated and undergo a process which brings the water to potable standards to meet regulations for human consumption. Next, the water goes into a ground, elevated, or hydropneumatic storage tank, which our team designs and manages the installiation of. Not only is our team capable of designing intricate water systems, but we can acquire the necessary permits from the TCEQ that make execution possible. We serve as the liaison between the city and the contractors, and we have a team of licensed water and wastewater operators who afford us the ability to work side-by-side with our clients. In addition, our team also provides consultation to assist in acquiring capital funds.